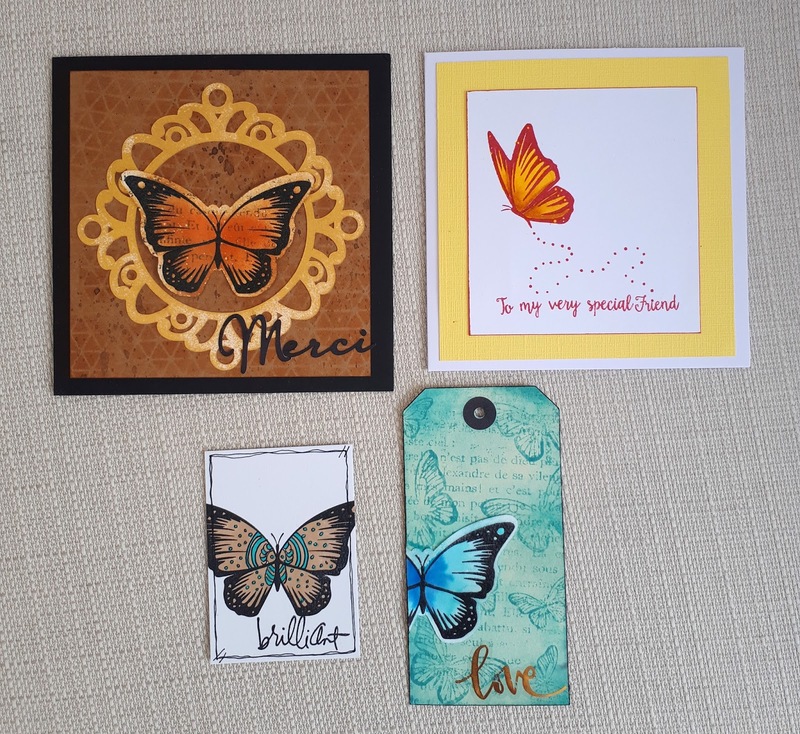 Using the Hero Arts red ink, I stamped a butterfly (coloured with Zig Clean Colour) and sentiments from the Avery Elle set and doodled a 'trail' from the i to the butterfly. 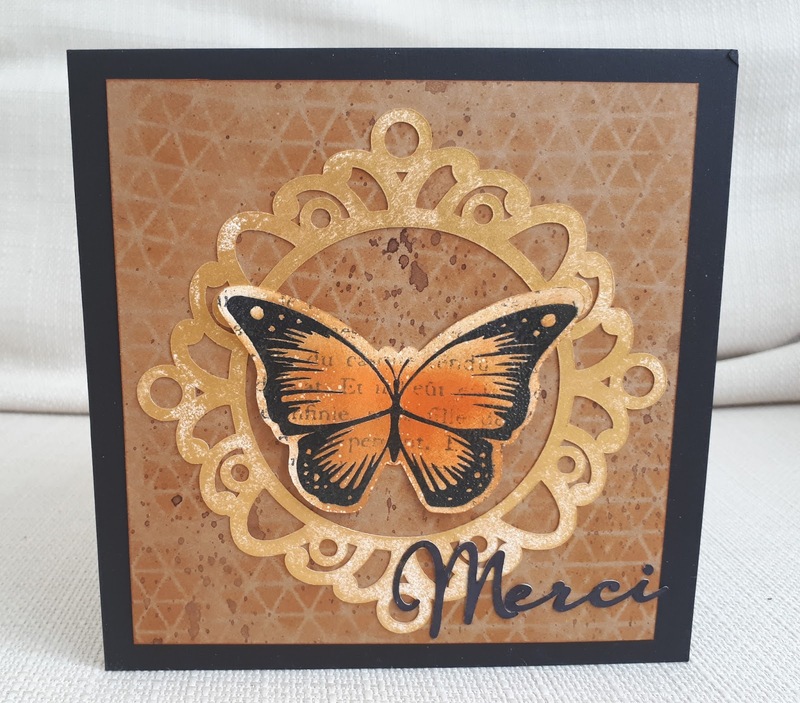 The frame and the 'merci' were cut on the Silhouette and taken with me- I coloured the frame with gold ink and the sentiment with black marker. I made a background using a Tim Holtz stencil on kraft card, and spray ink. 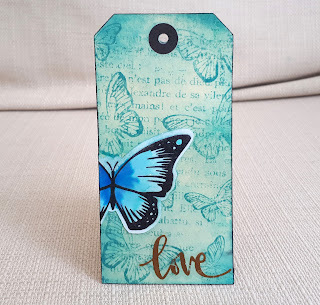 I stamped and embossed the buttefly, coloured it with the Hero inks and stamped the text (unknown brand) over it. I inked the tag with ink I'd put in another kit, and spray it with water. 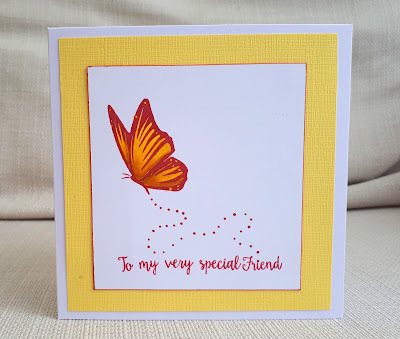 I stamped the text and smaller butterflies . I stamped and embossed the large butterfly and coloured wit Zig Clean Colour markers. The 'love' is from a pack of unopened stickers I'd put in one of the other kits. I was fed up to find that they had stuck to the packaging and many were unusable! 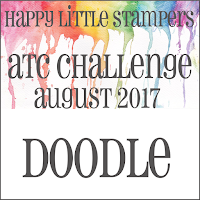 Finally, an ATC I made for the Happy Little Stampers ATC challenge 'doodle'. I stamped the large buttefly and just doodle on it. I also doodle a frame. The sentiment is by Heidi Swapp. 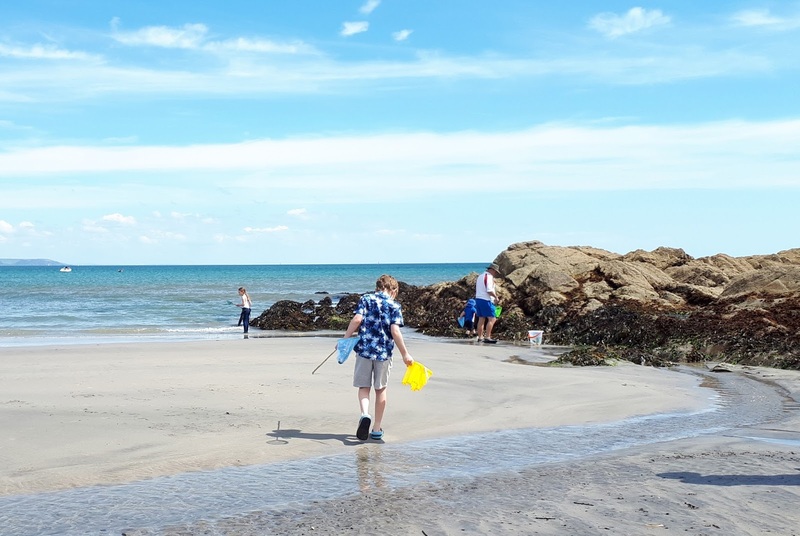 In case you're thinking all I did on holiday was stamp, I can assure you I had a fantastic time exploring Cornwall's beaches, gardens, harbour villages, restaurants and the Eden Project. 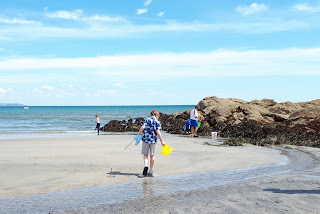 Here's a small holiday snap. the only day he wasn't wearing his rain jacket! Wow.... look at all these beautiful butterflies! Great designs and great color! Beautiful card! Love the yellow layer on the card for our challenge! Thanks for sharing with us at Cards in Envy. 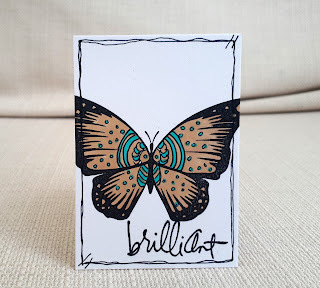 Love your doodled beautiful atc, so pretty. Thanks for playing at HLS atc Challenge. All of these butterflies are beautiful. Thanks so much for sharing with us at our challenge at Cards in Envy. Another fab kit! The weather in U.K. Is probably as reliable as the weather over the pond here, so you were right to bring some crafty stuff. I think you achieved much with little, I find that very inspiring. We don't always need plenty of fancy stuff and huge piles of materials to be creative and to create. A kaleidoscope of Butterflies what a beautiful site. 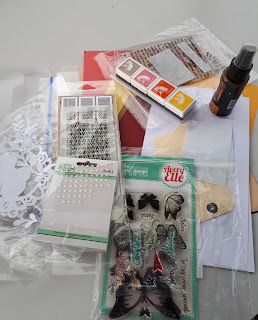 Thank you for sharing with us over at That's Crafty and joining the *Anything but Cards* Blog Challenge. Best Wishes Tracey. 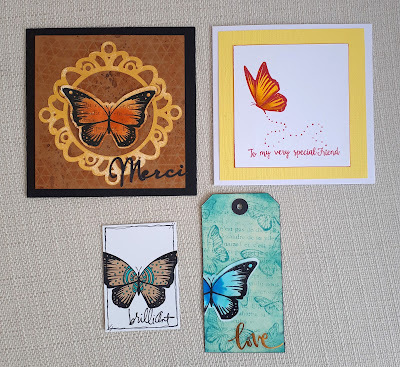 Beautiful ATC, Thank you for Joining us at Happy Little stampers and waiting to see next time. Lots of fab butterfly makes!